Microsoft’s nifty Surface Go tablet PC with LTE support has arrived in Canada, enabling its users to access internet everywhere. The Surface Go is Microsoft’s 10″ tablet PC focused on portability and battery life. Its dual-core, 6W TDP processor is designed to sip power while handling light productivity tasks on the go. 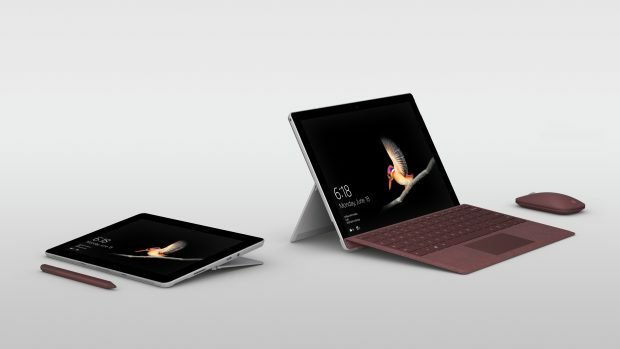 Like the larger, more powerful Surface Pro 6, the Surface Go can be paired with a Microsoft TypeCover and is compatible with the Surface Pen. The new Surfaces come in one consumer model and two commercial models. While they’re physically identical, the commercial model comes with extended support and warranty. The Surface Go with LTE starts at $879 for the consumer version equipped with the Intel 4415Y processor, 8GB of RAM, and 128GB SSD. That’s $180 more than the Surface Go with the same configuration without LTE. Commercial versions come with the more robust Windows 10 Pro operating system and start at $949 for the same configuration. All versions are available now for pre-order and will launch on Nov. 20.